Shortcuts are often wrong cuts. Now I know it isn’t exactly a ‘quicker’ route to go foraging for mushrooms in the wild compared with picking them off the shelf but…..be careful if you do capture them wild. 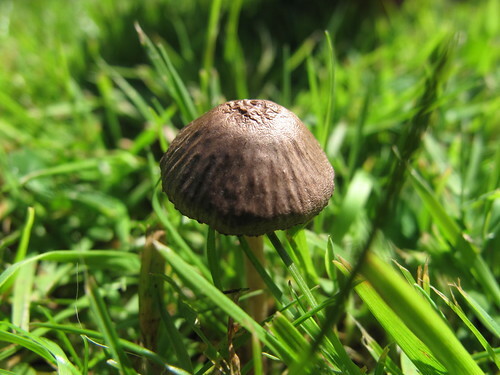 Make sure you verify that you have the edible sort or you may be dabbling with serious negative effects from champignon veneneux (Poisonous mushrooms). 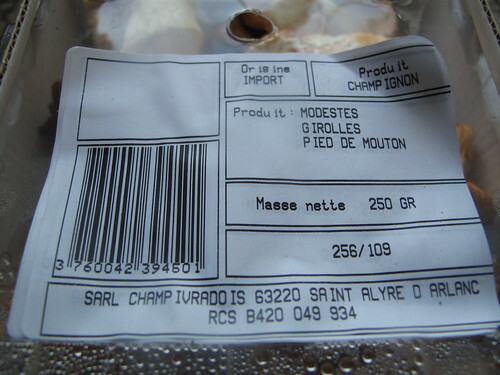 Mushrooms are funny in that they don’t have a ‘toxic look’ when they’re poisonous so before you consume any wild, hand-picked mushrooms in France, consult a pharmacy (or a trusted neighbour). All pharmacists are required to study mushroom taxonomy as part of their formal training, and will helpfully(and for free) identify your finds, often with the aid of an instructive, official chart picturing the poisonous species for the edification of the fungus-drunk public! Whatever you do, consult before you plan on doing any cooking with them….or else….it may be disastorous! 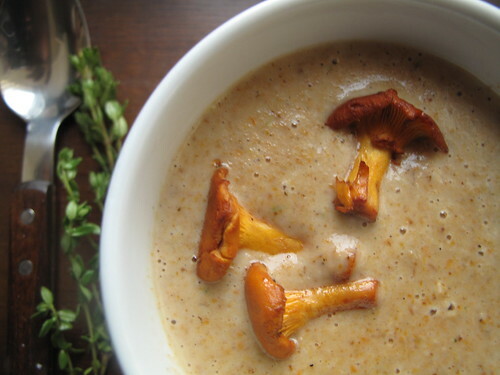 The mushrooms I speak of today are the fat-free, low calorie wild mushrooms, which are the crowning glory of a soup that graced our lips this past weekend. 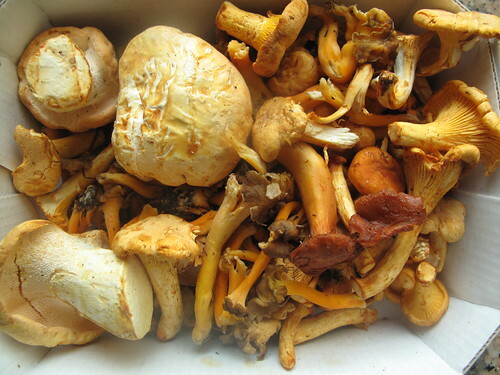 I am getting more and more into cooking seasonal and few things are more autumnal than the girolles (Chanterelles) and the pieds de mouton (called anything from Hedgehog mushrooms to sheep’s/pig’s foot) out of France (at Sligro!). Now the French (and other aficionados) are famed for their love of wild mushrooms with hordes going on fungi hunts and forays. 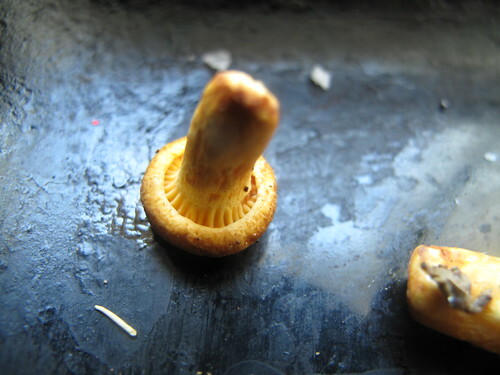 Now while I love Mushrooms, I wouldn’t be able to identify one from Adam. If my recall is good (and that it is), the closest I’ve come to seeing siblings of these fungi out in the ‘wild’ was in the summer when I stooped down low to see how well the ‘Macro setting’ on my camera worked! 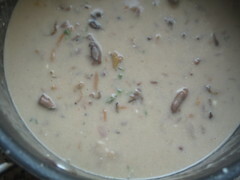 When I saw a ‘very different mushroom soup’ recipe in ‘Superduper soups’, I knew it was only a matter of time. 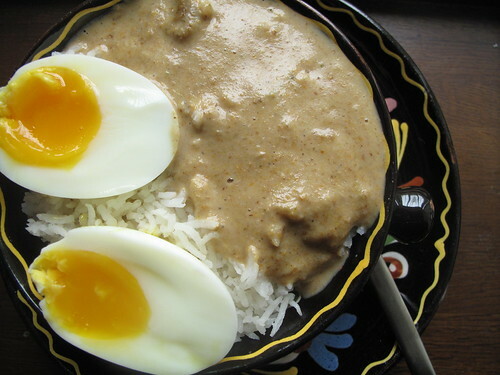 The original recipe uses shiitake mushrooms to my wild ones. 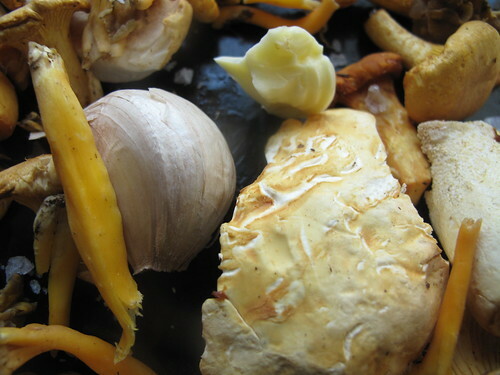 The second thing I agreed (with myself) was that the mushrooms would have to be roasted becase I wanted to preserve their wholeness and perhaps enhance the flavours a bit with some ‘flash roasting’! i knew the mushrooms would hold up well especially the Pied de mouton: gnarly, funny-looking mushrooms with a great earthy and mildly nutty flavour. 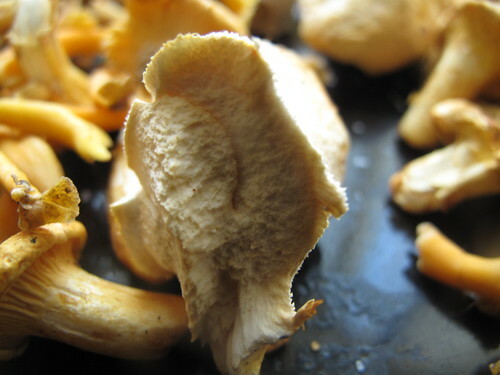 Because they have firm flesh they hold up well in slow cooking and roasting As for the girolles, they are wonderfully aromatic but also give a beautiful golden colour to dishes…and you see that in the soup. 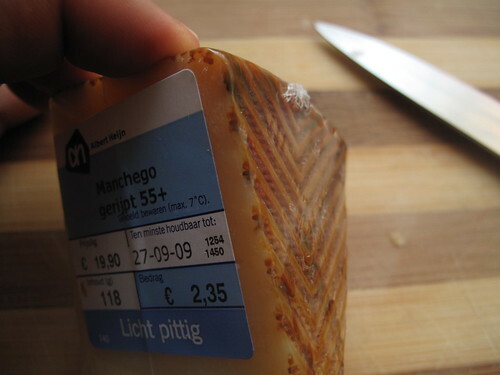 Their flavour is meaty and somewhat chewy texture. The tiny modestes mushrooms also had the colour of the girolles and I could only hope they made it out of the oven – alive! I knew there would have to be some special French smoked garlic thrown in and my new favourite herb – lemon thyme! It was also lurking that a mild kick sponsored by slivers of yellow chilli peppers would be well within order. Once that was sorted, assembling the ingredients was a breeze. Remove from oven when ready. Set a few roasted mushrooms aside for garnishes if you want. Heat the butter in a large saucepan and add chopped onions. Saute gently and add roasted mushrooms, stirring till the onions are soft and golden. Sprinkle on flour, mix well and continue cooking. Stir well and let flour ‘cook’ so it loses its ‘floury/pasty’ taste. Add stock and lemon thyme in and let the mixture simmer for 20 minutes. If using chilli, add now. 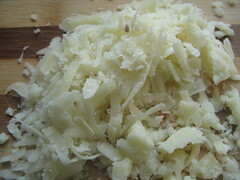 Add cheese and creme fraiche and cook for another 2 minutes until the cheese is melted and the soup is thickened. Whizz in a food-processor or blender. Serve up and enjoy with some bread. If you have some left over, then Soup it! Sauce it! Bake it! (as seen here) on rice! What do you think? Like it? Love it? or don’t? 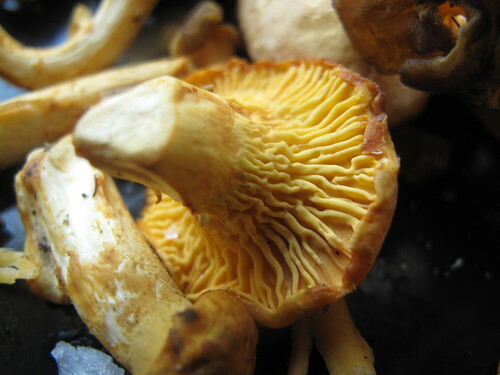 Have you been on a mushroom hunt, ever?